Colleen (Walsh) D'Agostino is a lifelong resident of the Greater Boston area. Her professional experience includes teaching and concierge services. 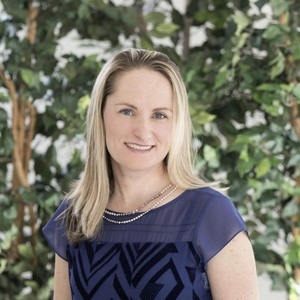 Colleen developed an interest in real estate, and began learning about the real estate market as it affected young professionals, growing families, and empty-nesters. As a native Bostonian Colleen knows the city's neighborhoods and its surrounding suburbs. Colleen is adept at forming strong working relationships with her clients in order to find the right fit for their needs and lifestyles. Now, Colleen joins the Eve Dougherty | Marsha Price GROUP, a successful, experienced and established team. She will contribute her skills to enhance the team’s top-notch performance.